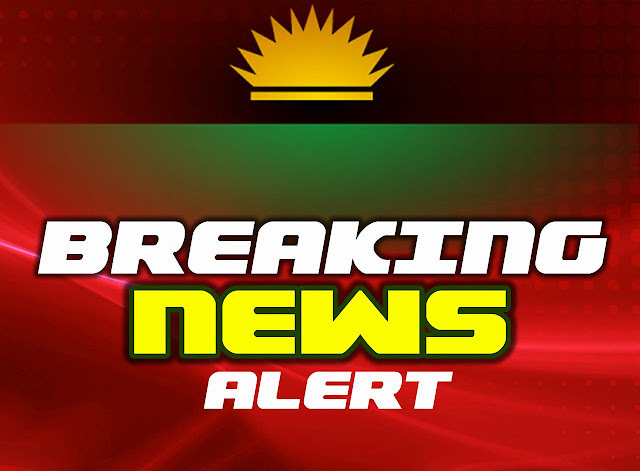 SECURITY ALERT: BE WARNED BIAFRANS THEY ARE HERE! From Family Writers reliable intelligent source, we have uncovered a planned attack that Fulani terrorist are heavily armed with all kinds of sophiscated and dangerous weapon currently occupying some south-eastern region with specific attention in Abia state. The Fulani terrorist have disguised themselves as herdsmen cattle rearers and are currently in a move to unleash a deadliest massacre which will shock the world if allowed to happen. The Indigenous People Of Biafra (IPOB) therefore use this medium to warn all Biafran citizens to be particulary vigilant around churches and other places of worship, locations where large crowds may gathered. in addition to this, we also urge the entire youths and concern people of Abia state to be caution and readily available in defending their land against external and possible invasion as POLICE and other security personnel within the state can no longer guarantee their safety through internal policing. It is also very imperative that adequate security measure is been taken throughout other state in Biafranland Henceforth, to Avoid Another Ethnic Cleansing (pogrom),because Nigeria Government has marked Biafrans for extermination and equally shielding the Fulani terrorist by secretly granting amnesty and presidential pardon to Boko Haram Detainees whose activities in the Northern States Have Maimed Dozens Of People. There is a huge amount of profitable guidance about best security! guard pros security has guided me a lot! I would suggest them to everyone!